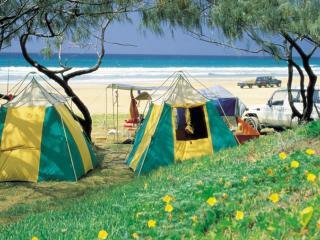 The Whitsundays are an ideal location to experience Robinson Crusoe style and are surprisingly well-equipped for camping. Far from 'roughing it', camping on the tropical islands of the Whitsundays is a fun and easy adventure, particularly popular with families. With most campsites located within metres of the beaches, you'll enjoy waterfront accommodation at a fraction of the cost of a resort. Located just a short drive from a number of popular tourist destinations and attractions on Queensland's coast, local holiday parks across the Whitsundays offer everything from unpowered basic tent sites to powered sites and even cabins for that 'glamping' experience. A great way to meet new friends and experience the region at its best, camping is an affordable holiday option. There are also a number of National Parks and secluded beaches located throughout the Whitsunday Islands that allow you to camp, surrounding you with some of the region's most amazing views and spectacular natural environments. Wake up to the sound of bird calls, water cascading down waterfalls or waves lapping at the shore. You're also surrounded by a range of activities and attractions including hiking and driving trails, beaches and some of the best swimming and snorkelling available. Most island campsites, including the famous Whitehaven Beach, are located on secluded islands and provide an intimate atmosphere thanks to only limited numbers permitted. You may be lucky enough to have the spot to yourself or you may be sharing with some yet to be discovered friends. Either way, it's a wonderful way to explore the coral reefs, secluded beaches and fascinating bushwalks of the Whitsundays. 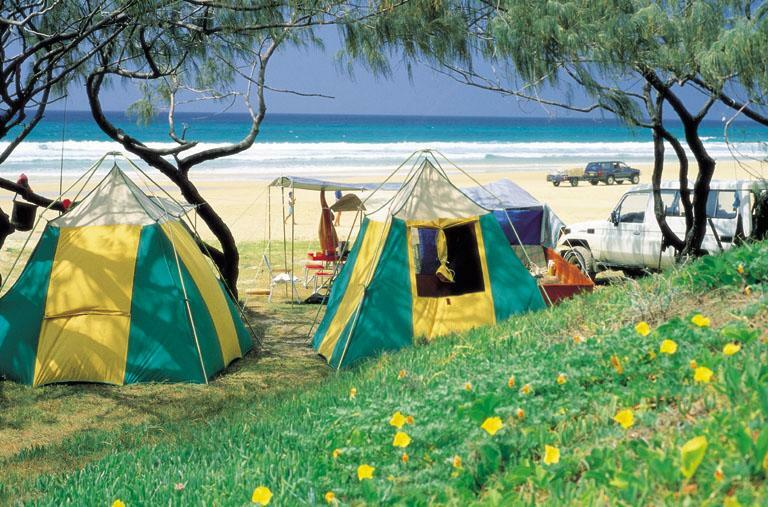 Permits must be obtained in order to camp in the Whitsundays however they are cheap and easy to apply for from Queensland Parks and Wildlife. Local fishing zone and tide chart maps are also very handy to have before you go. Although facilities for each site vary, most have toilet facilities and camping tables as well as some with shower facilities.